You are purchasing a wholesale lot of assorted fashion costume jewelry. The lot contains approx. 50 items. The brands that may be included are a mixture of: Jacklyn Smith, Bongo, Joe Boxer, Piper, Dream out Loud, Attention and more. The styles will include a mixture of: Rings, Bracelets, Necklaces, Ear Rings, and More. Please see the original images for the assortment of items. The items in this lot are all new, mostly still with retail packaging/tags. 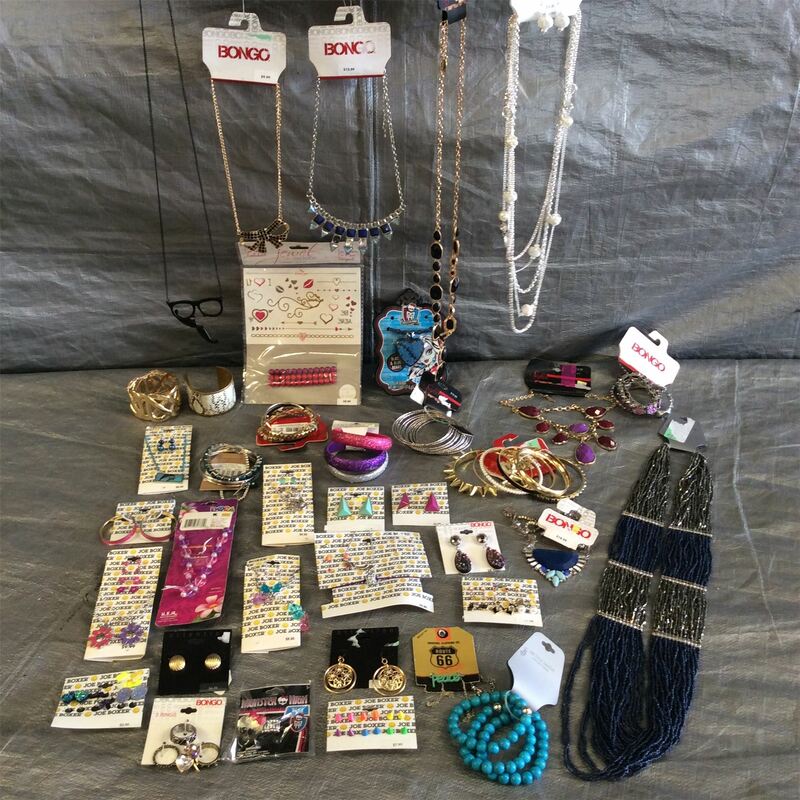 Click the button below to add the Wholesale Lot of Assorted Costume Jewelry, Brand Name Fashion Jewelry Approx. 50 Pieces to your wish list.